The Social Security System in the Philippines offers 3 major types of SSS loans. 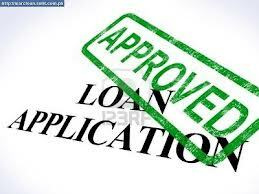 They are namely member loan, housing loan and business loan. I will be elaborating more today on the different loan benefits that a paying and qualified member may avail to apply for with the SSS. Basically, if you try to visit the official website of the SSS, you will find out that in the member loan category, only the salary loan is found after which 2 major short term member loan divisions can be applied for by each member which is the salary loan part 1 and part 2. The first part comprises qualification standards, loanable amount, loan payment term, interest rates, penalty interest for failure to pay monthly amortization and service fee or processing fee. The second part is composed of details revealing the renewal, payment modes or how to pay, payment in case of transfer of employment, employer obligations to the SSS, payment if the borrower transfers work / resigns / separation, loan terms and conditions, salary loan documentary requirements and where to file or apply for the loan. If you are one of the interested members looking to apply for this type of loan offer by the Social Security System in the Philippines or whether you are an OFW working abroad or have migrated to other countries, please navigate in our sidebar category for types of loans. To learn how to qualify or see qualification information, you may either make an online inquiry by visiting their website or go to the nearest branch. This entry was posted in Loan Types and tagged documentary requirements, member loans, ofw member, salary loan, types of loan. Bookmark the permalink.